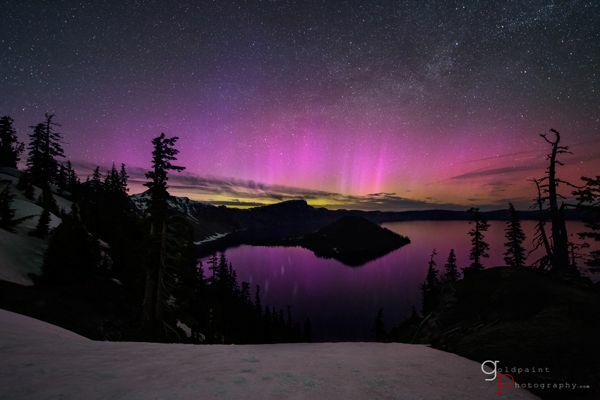 A few nights ago, Brad Goldpaint had an unexpected surprise at Crater Lake and was able to capture and put together this beautiful time-lapse of that experience. See more of Brad’s work on his website and facebook. 8 Comments on "Without Warning – Crater Lake Aurora Borealis Time-Lapse"
This is magical. Beautiful scene. 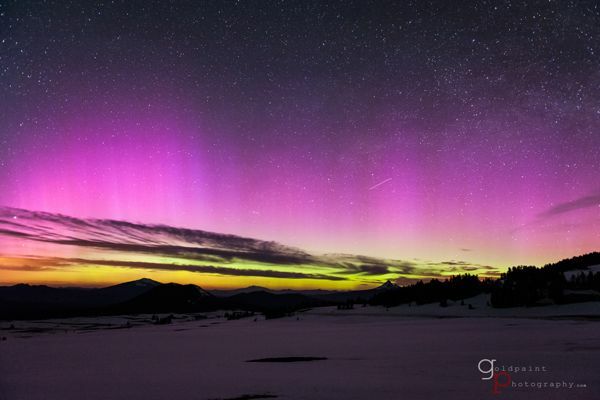 This is stunning time laps photography, I now feel inspired to try this method myself although I doubt I will have the good fortune capture the stunning colours of the Aura Borealis. Amazing! Whay a great pay-off for getting out in the cold. Absolutely stunning photos – gorgeous color! Thank you for sharing! O myGod! I don’t believe it! 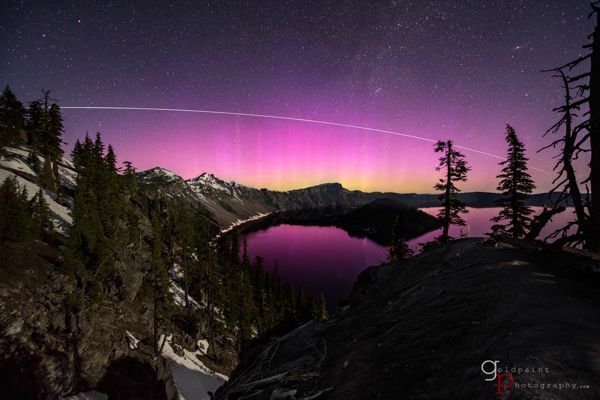 Not only magical light but looks like you captured a pass of the ISS, as well. Could you tell me what you generally use for SS and interval for these time lapses? perfect experience!! !thank you for sharing!! !